Mauro Icardi's Inter future remains in doubt after his agent and wife Wanda Nara reiterated the Argentina international is nowhere near renewing his contract. Icardi has a deal at San Siro until 2021 but the 25-year-old has consistently been linked with a move away, with Real Madrid and Manchester United thought to be among his admirers. 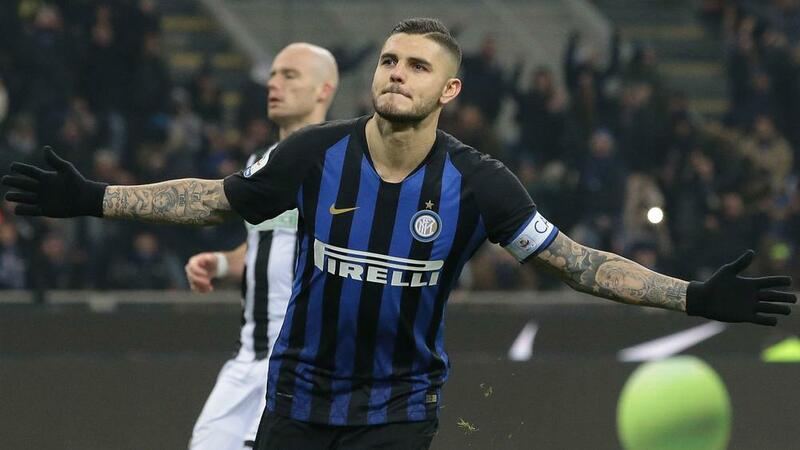 Inter sporting director Piero Ausilio last month suggested a new offer was on the table for Icardi, but Nara says the two parties are not close to an agreement. Speaking to Spanish newspaper AS, Nara revealed a number of clubs in Europe were monitoring Icardi's situation, intimating Paris Saint-Germain and Barcelona had joined the list of suitors. "Icardi's renewal with Inter is a very long way off as things stand today," she said. "There are very important clubs that are interested in signing Mauro and we are very far from reaching an agreement [with Inter]. The figures that are being talked about in Italy about his contract renewal are not accurate. So far, we have not received a satisfactory offer from Inter. "We are not ruling out reaching an agreement at some stage, but at the moment we are a long way off from that. "It's not logical for Mauro to renew on the same salary that he receives now. We believe that Mauro is at a superior level. "We have a very good relationship with the two biggest clubs in Spain who are very interested in Mauro, as well as one in France and one in England." Icardi has scored nine goals in 16 Serie A appearances this season for third-place Inter.